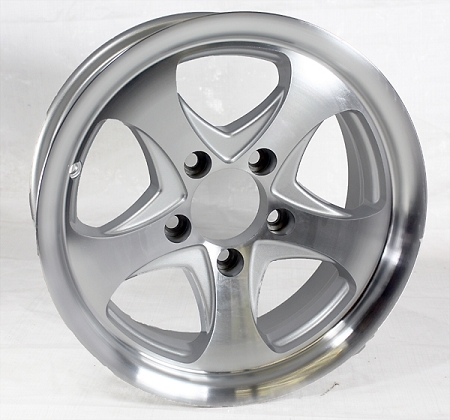 14 x 5.5 Intrepid Machined Silver Aluminum Trailer Rim 5 on 4.50, 1900 lb max load, free shipping. the rim looks great, price was right. would buy from them again.